The Activity Monitor does not show cloudd nor other process transferring much data either. I'm looking for log files under /var/log or ~/Library/Logs, but cannot find anything. Is there any log file that could be used with tail to see iCloud sync activity in real time? You can use brctl like brctl log --wait. When it stops showing messages it's synced. Not the answer you're looking for? Browse other questions tagged terminal icloud logs activity-monitor console . 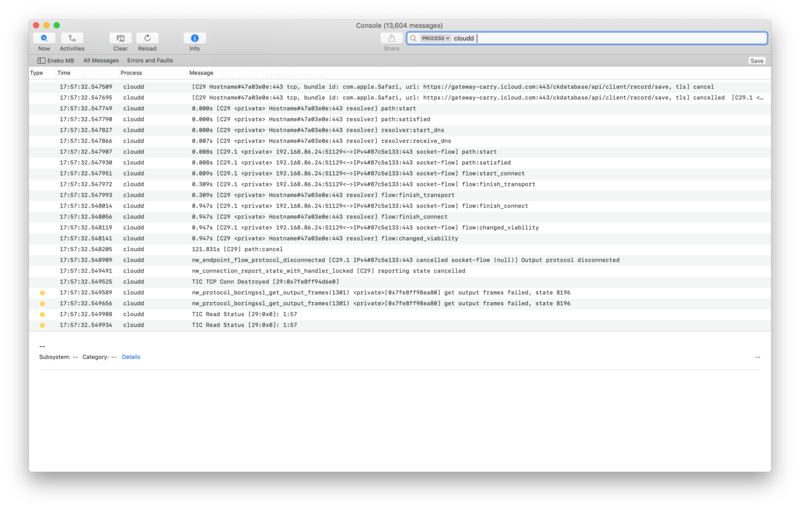 Is there an OS X 'tail' tool that can monitor remote log files? iCloud Drive: Cannot download files? MacOS Sierra how to reduce priority of iCloud drive sync?